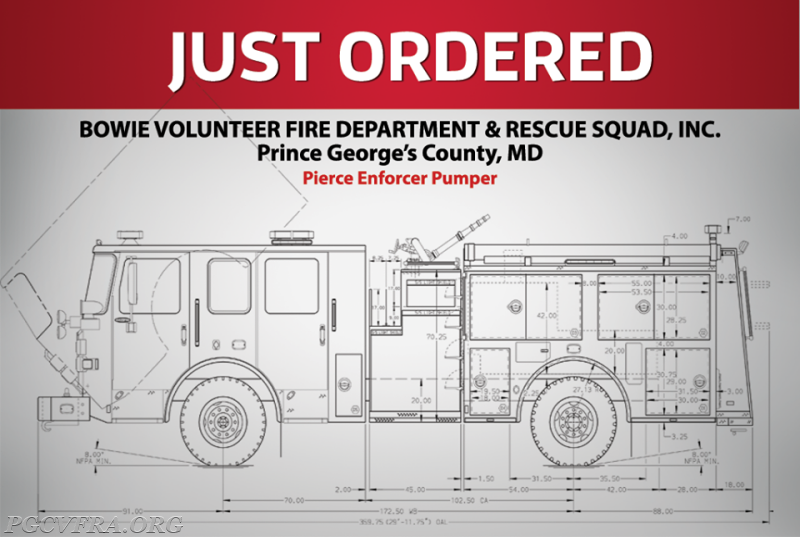 Congratulations and Thank You to the Officers and Members of the Bowie Volunteer Fire Department and Rescue Squad Inc for working to bring a new Volunteer owned Engine to Prince Georges County. They have worked to design an efficient piece on apparatus to serve the citizens of Bowie and the surrounding area. The new Engine is a 2018 Pierce Enforcer that should be completed later this year.